With 2017 being the 10th anniversary of iPhones manufacturer, Apple, the company is doing all it can in its capacity to make the event a memorable one. A grand event that would go down in history as “the bomb“. A one of its kind celebration. Deviating a little bit, I’m pretty much sure we all understand the rationale behind making the 10th year celebration of any event as a big one. I mean, I can’t speak for anyone out there but I def took my 10th birthday celebration by the horn, even though I wasn’t quite old enough to know “why” at such moment. But hey! It’s the first two digits of your lifetime. It is very much worth making a hoot about! Now you can understand why the hype and buzz surrounding the upcoming 10th-anniversary edition of the iPhone has been enormous. 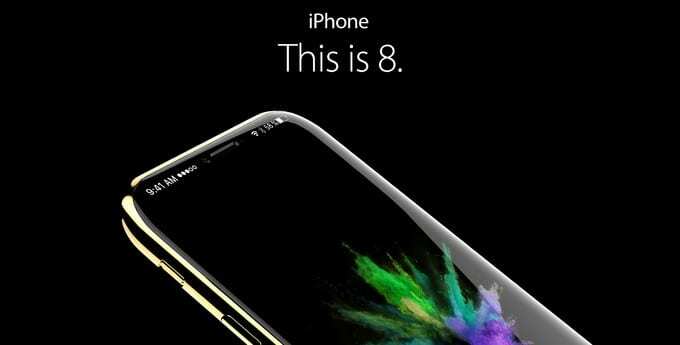 In preparation for the upcoming event, Apple is making efforts to make the iPhone 8 more than just “another iPhone”. According to BlueFin Research Partners, Apple is reportedly tuning back the production date of the iPhone 8 by a month as production will commence by June, and not the customary July that it has been known to start production of iPhones in previous years. There have been several speculations as to why Apple opted to produce their next flagship a month earlier. Several tech enthusiasts opined that Apple might want to ensure that there is enough iPhone 8 unit available for launch, a feat that Apple haven’t achieved over the years. There are also speculations that Apple most likely wants to take all the time it can get to detect and avoid any flaw(s) or detect(s) whatsoever in the manufacturing process. There also exists some laughable belief that the modification in production date is an indication that Apple will launch the iPhone 8 before September – laughable right? LOL. Apple has never been known to deviate from its traditional September month launch, and you know what? I’ve got my whole body at the “Apple won’t launch before September” side of the table. Furthermore, going by the BlueFin Research report, it is believed that there will be a 300 percent upsurge in the amount of iPhone 8 builds to be produced in June as Apple plans record-breaking smartphone sales. …says BlueFin as it confirms that the company will be increasing production much earlier than usual in order to prepare a grand launch and a sumptuous 10th anniversary.